Go to original pattern for design DROPS Extra 0-1442. 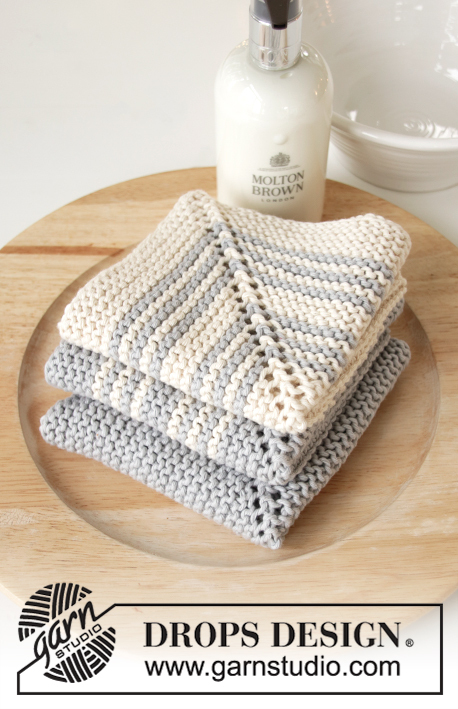 Knitted cloths in DROPS Paris. The piece is worked in domino squares with stripes. Theme: Christmas. 1 cloth weighs approx. 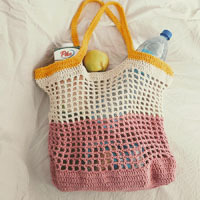 66 g.
21 stitches in width and 42 rows in height with garter stitch = 10 x 10 cm. 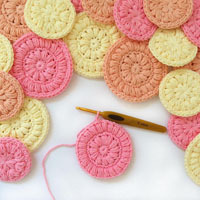 DROPS CIRCULAR NEEDLE SIZE 3 MM: length 60 cm or 80 cm. Needle size is only a guide. 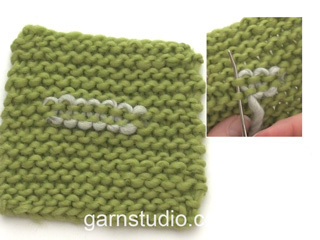 If you have too many stitches on 10 cm, change to a larger needle size. If you have too few stitches on 10 cm, change to a smaller needle size. 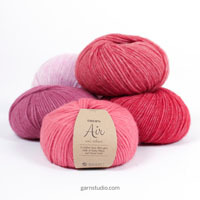 You can get the yarn to make this pattern from	9.50£. Read more. Cast on + work with red until the piece measures 14 x 14 cm, 4 ridges with off white, 4 ridges with red, 4 ridges with off white, 6 ridges with red. 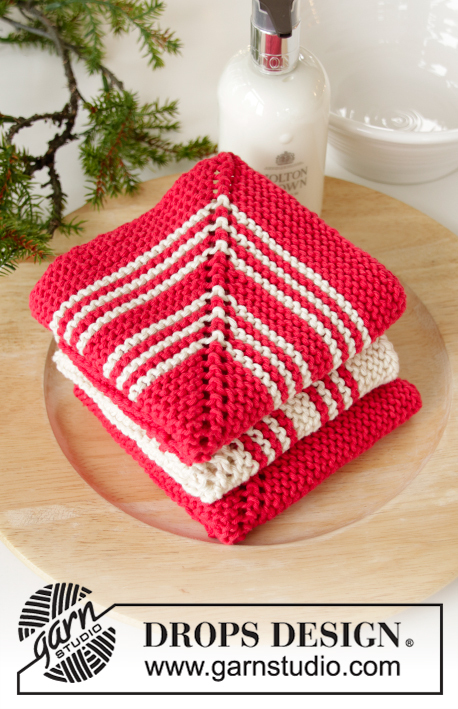 Cast on and work with off white until the piece measures 14 x 14 cm, * 1 ridge in red, 1 ridge in off white *, work from *-* a total of 2 times, 1 ridge in red, 3 ridges in off white, * 1 ridge in red, 1 ridge in off white *, work from *-* a total of 2 times, 1 ridge in red, 5 ridges in off white. Cast on + work with light grey until the piece measures 14 x 14 cm, * 1 ridge in off white, 1 ridge in light grey *, work from *-* a total of 2 times, 1 ridge in off white, 3 ridges in light grey, * 1 ridge in off white, 1 ridge in light grey *, work from *-* a total of 2 times, 1 ridge in off white, 5 ridges in light grey. Cast on + work with off white until the piece measures 14 x 14 cm, * 1 ridge in light grey, 1 ridge in off white *, work from *-* a total of 2 times, 1 ridge in light grey, 3 ridges in off white, * 1 ridge in light grey, 1 ridge in off white *, work from *-* a total of 2 times, 1 ridge in light grey, 5 ridges in off white. Cast on + work with red until the piece measures 14 x 14 cm, * 1 ridge in off white, 1 ridge in red *, work from *-* a total of 2 times, 1 ridge in off white, 3 ridges in red, * 1 ridge in off white, 1 ridge in red *, work from *-* a total of 2 times, 1 ridge in off white, 5 ridges in red. Cast on + work with red until the piece measures 23 x 23 cm. Cast on + work with light grey until the piece measures 23 x 23 cm. 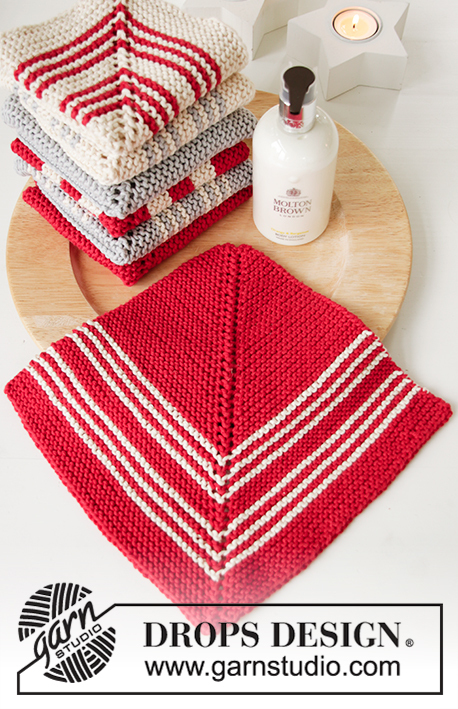 The piece is worked back and forth with circular needle in GARTER STITCH – read description above. Work 7 cloths in domino squares and the different colour combinations. 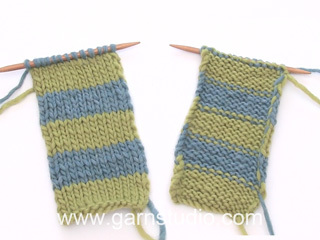 Cast on 5 stitches with circular needle size 3 mm and the cast-on colour – read COLOURS above. 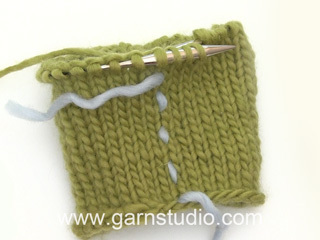 Insert 1 marker thread in the middle stitch. ROW 1 (= wrong side): Knit. ROW 2 (= right side): Knit as far as the stitch with the marker thread, 1 yarn over, knit 1 (stitch with marker thread), 1 yarn over, knit to end of row. ROW 3 (= wrong side): Knit. ROW 4 (= right side): Knit as far as the stitch with the marker thread, 1 yarn over, knit 1 (stitch with marker thread), 1 yarn over, knit to end of row. Work ROWS 1-4 onwards until the cloth colours have been completed. 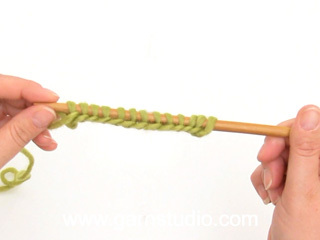 REMEMBER THE KNITTING TENSION! The piece measures approx. 23 x 23 cm. Cast off – but on the cast-off row increase as before in the corner; yarn overs are cast off as you go (this avoids the corners being tight). Fell av på dominorute var vanskelig å forstå. Bonjour! Lorsque vous mentionnez pour rabattre les mailles augmenter dans chaque coin, devons-nous faire un jeté à chaque extrémité et rabattre les jetés situés de chaque côté de la maille centrale? Merci pour votre aide!! Bonjour Hélène! Comment le faire vous trouverez dans le video ICI. Bon tricot! K 3, put marker and knit 2. This is first row? Then k3, yo knit 1, move marker to right needle? Dear Ursula, you should have 5 sts on needle: 2 sts, 1 st with marker, 2 sts. On row 2 work: K2, YO, K1 (st with marker), YO, K2. Make sure your marker will be always in the middle stitch and continue like this increasing with 1 YO on each side of the st with marker every other row. Happy knitting! How or where do I move the marker. Dear Ursula, insert 1 marker thread in the middle (third) stitch. The marker follows along while working the piece and will have the same stitch numbers on each side (the marker is all the time in the middle stitch). Happy knitting! I'm wondering why these cloths start with a 5 stitch cast on. I think a 3 stitch cast on would create a better corner but I might be wrong. I am just on the first one so will see how it looks.